I have been involved in CrossFit for over 3 years now. I decided to try it out because I was bored with my current workout routines. The first time I tried a CrossFit workout, I couldn’t believe how challenging and intense it was. After the workout, I felt a sense of accomplishment and couldn’t wait to challenge myself again! CrossFit has not only been a challenge physically but even more importantly, the workouts challenge my mind to push past my perceived boundaries allowing for results and breakthroughs to occur. I believe the most gratifying part of CrossFit is the community. We workout together, suffer together, and celebrate together. Here at CrossFit Miramont, I am thrilled about the opportunity to introduce CrossFit to our members and guests. I started doing CrossFit at Miramont in August 2012. I remember doing my first WOD and it being something fun for me to try but I never realized how it would have such a big impact on my life. Six months later I got certified as a Coach so I could learn more and spread this incredible knowledge. I love what CrossFit has done for me. It has given me noticeable strength gains, improved body composition and I feel up for any physical challenge that comes my way! One of my favorite aspects is how intense and quick the workouts are and how much they push me in ways I never thought possible. Also, the community is amazing and the friends I have made through CFM are fabulous! Working out is fun, never a chore and I get to do it with awesome people. Try it - you won't be sorry! Any workout honoring those who have given the ultimate sacrifice for our country and freedom. I found CrossFit back in 2008 and instantly fell in love with the philosophy and the community! 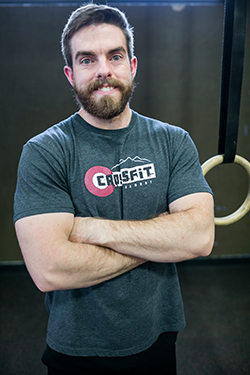 I started coaching just a few months after my first WOD and haven’t looked back. CrossFit has made me stronger mentally, physically, and has pushed me to achieve things I never thought possible. It has brought me life long friends and made me apart of an amazing worldwide community where bonds are made through hard work. 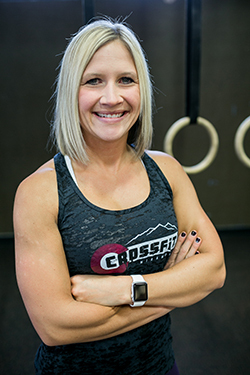 I am passionate about sharing CrossFit’s methodology with others and love showing people that CrossFit CAN be for everyone, no matter your age and/or fitness level. Any WOD that includes Olympic weightlifting. I love to lift heavy weights and any WOD that includes that will be fun for me! Something like Grace or DT for example. CrossFit is a fitness program that makes you better. Better at weightlifting, better at running, better at everyday activities. I tried my first CrossFit WOD in 2012 while I was in School at Colorado State University. I started CrossFit by doing the CrossFit.com workout of the day at my house where I had some old beat-up equipment. The workouts were simply written but insanely difficult. After a few workouts at my house I was hooked and I decided to get serious about my training. Shortly after that I joined CrossFit Miramont. That is where my eyes were opened to everything CrossFit had to offer me. I fell in love with the workouts and the incredible community that came along with it. 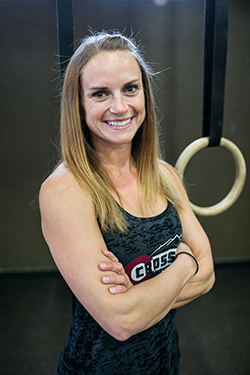 About six months after joining I decided to pursue a career in coaching CrossFit. I have since completed several coaching courses and I have been practicing my coaching at an affiliate in Loveland. 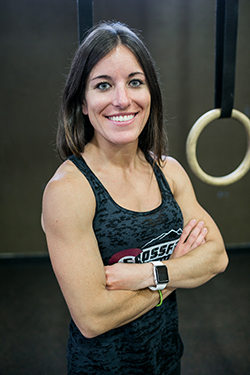 Coaching has only helped to solidify my love of CrossFit. Seeing the joy wash over an athlete’s face when they learn a new movement or hit a new personal record is one of my favorite experiences. I am proud to be a part of such an amazing fitness program. Come give it a try and find out what you are truly capable of.